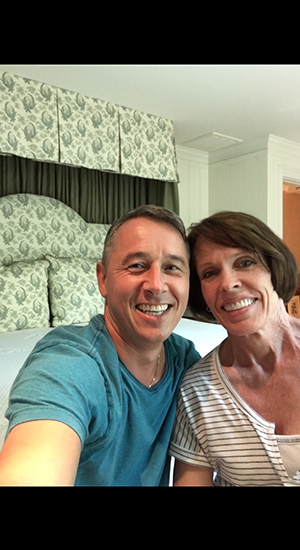 Completed another great looking bed crown treatment at Blackberry Farm, Walland, Tennessee with interior designer Susan Wojnar. 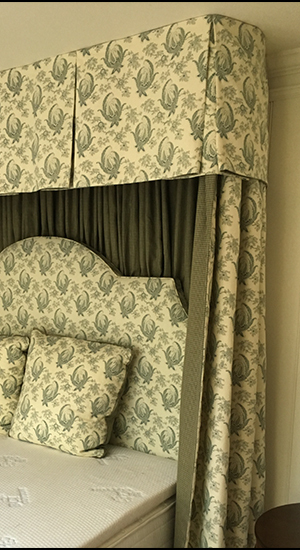 The headboard is upholstered in the same fabric and a complimenting lining fabric was chosen for the custom drapery treatment. It takes some extra “creative thinking and constructing” on all parts in order to accomplish unique looks and to deliver this beautiful end product. Of course, everything is interlined and parts of the treatment is hand sewn. Thank you Blackberry Farm for letting our custom drapery workroom be part of this and many other exciting projects!